Apologies for the radio silence, hopefully I'll be back to regular posting asap! 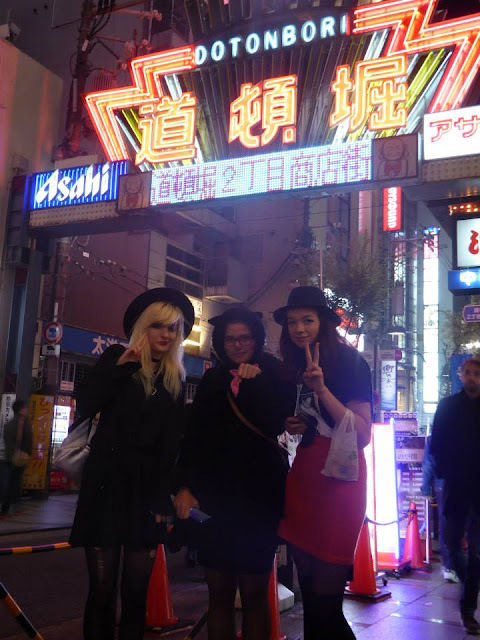 Aaanyway, today I'm going to talk a little about what Halloween was like for me in Japan this year. To be honest, I don't usually get that into Halloween. Some people (tumblr) seem to look forward to it from like August, and the whole of the Internet goes mad playing 'Spooky scary skeletons' for a couple of months. We do celebrate Halloween in the UK, but it seems to depend on the person as to whether you are that into it. Personally I was never "allowed" to trick or treat as a kid, although some people do do it, it would have just been a pain for my elderly neighbours. Some people have Halloween parties, which are always fun, and people carve pumpkins and drink alcohol. Halloween in Japan seems to be pretty similar? So lets talk about some of the differences: shops and advertising is more Halloween themed here. All the supermarket staff had little with has on and orange bandannas, the Pokemon store had a little pumpkin themed Pikachu, you name it, Halloween is everywhere. I think small kids also have Halloween parties sometimes. Uni students and adults though, it seems like just another excuse to cosplay and then go out to a bar and a club, as Kyle from Gaijinpot pointed out. Dotombori was intensely crowded, and my friends in Tokyo say that Shibuya was the same. It's a pretty fun time to just go out and people watch! My inner Naruto loving 12 year old was so overexcited at the Sasuke cosplayer. I wish I'd gone with a more exciting costume, but ah well... there's always another time! My friends and I hit up this Irish pub called the little clover... or the Green clover... or something. It was really fun! And then we went for Karaoke. If y'all are in Japan for Halloween, make sure to go out and check it out, ok?